Electric Brixton is a club and live music venue open on the former site of The Fridge. 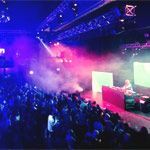 Guest DJs at Electric Brixton include Felix Da Housecat, Kissy Sell Out, Beardyman, Gilles Peterson, Glitch Mob and bands such as Shaam 69, Hard-Fi and New Model Army. Do you work at Electric Brixton? Varies according to the night and promoter. Tickets must be purchased in advance or on the door. What did you think of Electric Brixton? Electric Brixton is a quality venue. I've been here a few times, always got a great view of the gigs on stage and the views from upstairs are amazing. I went to jess glynne last night, the whole show looked and sounded brilliant. It was packed out,but not stupidly oversold like nights at academy and other venues. The club night i was at last weekend was epic, at booka shade , the sound was such good quality, and the atmosphere was amazing. Like all busy places if you arrive at peak time there's a wait for the cloakroom sometimes, but i noticed at the end of the night they had extra staff ready to take care of queues quicker. Definitely worth a visit. This club is terrible. They always let too many people in and everywhere is ram-packed full of posh cretins. Over-priced mediocre beer, and hostile bouncers treat you like cattle. You'll have to wait 45 minutes to drop of your coat. When you go the toilet, the attendant will insist you buy some puff juice and a lollipop for £5. Watch out! Paramedics will badger you on the dance floor! The club has potential. It's a nice venue and they attract good names, the problem is that it's run by a gang of mugs. Beautifully refurbished and has some great artists and DJ's playing their now. Great intimate venue that can still attract big artists. 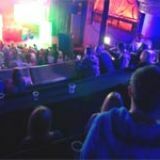 Electric Brixton may have hot competition with the iconic O2 Academy just up the road, but this smaller venue offers a more intimate chance to see top DJs and live bands, and it boasts a fantastic sound system, bespoke lighting and an exquisite interior, too. Dating back as far as 1913, Electric Brixton initially opened as The Palladium Picture House. This charming venue was given a magnificent theatrical interior, which has been carefully maintained right up to the present day. Ornate blues and golds with decorative panelling reign throughout, and even though it was then converted from cinema to infamous night club The Fridge, its classical interior has remained intact. 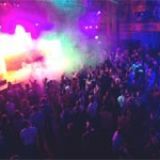 A one million pound facelift later, Electric Brixton opened its doors in September 2011. The venue accommodates live music acts and DJ nights, as well as allowing for private hire too, with a maximum capacity for 1,700. Divided into a main room with mezzanine level and smoking terrace, there is also a 'baby room' to one side, which boasts its very own sound system and bar for smaller private functions. The main room comprises a long bar stretching the length of the space and another bar to the side. These are lit with blue neon lights, which combine with a cluster of disco balls attached to the high ceiling to bring the place bang up to date. A huge stage with large speakers to either side faces the dance floor and the only seating to be found on this floor is in the VIP section. The mezzanine level harbors a large cloakroom along a corridor and there are theatre-style seats over two levels, which face the stage – another long bar here ensures minimal queuing. To one side, a black stage door leads out to a wooden-decked smoking terrace with small tables to perch on and ample decked seating. Given the capacity here, its feels surprisingly intimate, and with a polite couple of smiles, it’s easy enough to bag yourself a spot at the front of the crowd to watch your favorite band. Staff here are attentive and on the ball, with a security check upon entry to make sure the night runs smoothly. The crowd are a mixed bunch - with bands and DJs passing through as part of their London circuit, it all hinges on their following. Unveiling a superb sound system, the clarity at Electric Brixton is top-notch. 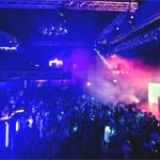 The venue attracts DJ sets from the likes of Faithless, The Orb and Gold Panda and bands like The Stereophonics, Franz Ferdinand and London Grammar, making it a central figure in Brixton's thriving music scene. A sizeable, open engineer booth sits in the middle of the main room too, so you really see a hands-on approach to ensure the sound and lighting is second to none. It is London after all, so you can forget your student prices here. A can of Red Stripe or Carlsberg will set you back £4.50, as will the Crabbies ginger beer or Kopparberg ciders on offer. A bottle of water is £3 and vodka and Redbull is £7.50. If you hate the thought of taking on big arenas or dodgy Camden pubs to see your favorite bands, then this is a beautiful backdrop in which to catch them. With big-name DJs and groups stopping off at this venue as part of their tour routes, be sure to keep your eyes peeled on Electric Brixton listings.